My acquaintance Leslie Garcia, from Tijuana Mexico, has been working on a plant sonification project analogous to those here at Dragonline Studios. 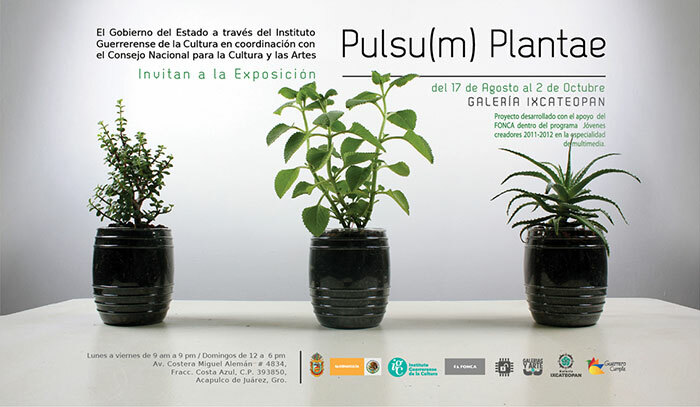 Her work was recently exhibited and a large amount of documentation is up on the site for the Pulsu(m) Plantae project, original in Español, English translation by Google Translate. Can plants be conscious? My friend Cleve Backster thought so. Watch this striking short video and it will answer that question. It's a totally remarkable clip, with enormous implications. Plants can be wired to musical synthesizers and heard actually altering the sounds and creating their own melodies consciously. Here is a video made by the commune of Damanhur. Listen now to the "sound" of conscious awareness. It's delightful to behold! The first wave of papers on a massive research project delving deeper into Human DNA were released on September 5th. The project, started in 2003 and entitled ENCODE, involved 440 scientists from 32 laboratories around the globe. When the Human Genome Project completed its mapping in 2001, scientists thought that only 2% of Human DNA was used, the rest thought to be evolutionary leftovers. Based on the preliminary reports just released, it appears that 80% or more is active. Most of what had been previously discovered were the genes directly responsible for encoding proteins. The new mappings reveal a much larger set of gene 'switches' used to control the protein encoding genes. The revelation of gene switches allows for entirely new approaches in research around cancer, genetic disorders and a host of other areas. An explorer for the papers published is at ENCODE on the Nature site. Is this what thoughts sound like? University of California psychology and neuroscience professor Bob Knight explains how computers are being used to decode imagined speech. Moving a computer cursor by thinking about a series of vowels.